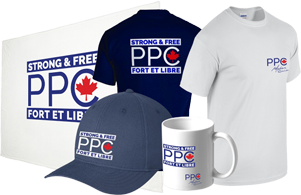 Buy your official PPC merchandise now! Not a member of the People's Party of Canada? You can still sign up to receive our newsletter!